Hannah Smith recently sent me the following recipe with this note attached: “I found this ‘Chocolate Chip Cookie Prayer’ paper that I got in a girls’ class at R.U.S.H. at Freed-Hardeman last year. It reminded me of something you and Lily would enjoy together…” Hannah knows us well, as baking is one of Lily’s and my favorite things to do together (and hopefully something Grace will also love as she grows older!). 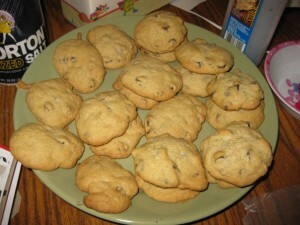 The recipe proved to be fun and full of learning and insightful conversation, but if I ever make these again, I will probably use our favorite chocolate chip cookie recipe and use this recipe as a lesson guide. We are unsure who the original author of this recipe is, so if anyone knows, please tell us so we can give proper credit to the person who wrote it! Adds flavor. Write down the names of the people who add flavor to your life. Pray that their creativity and talents will be used for God’s glory and that you will appreciate them and all they do for you. Thickens the mixture and slows the beating process. Pray for the people who you wish you could slow down and spend more time with. Ask God to help you make time for your loved ones. Saturated fat–unhealthy. Pray for the people who tempt you to do things you know you shouldn’t. Ask God to help you overcome the temptations and be a shining example to all. Rising. Thank God for all the people who raise you up. Ask God to show you a way to thank these people and to show you a way to raise up your friends and family. Temporary or false satisfaction. Ask God to help you be a true Christian friend. Pray that He will surround you with true Christian friends. Solidifies. Brings it all together. Pray for the people who fill you spiritually and make you a stronger Christian. Seasoning and preserving. Think of the people who you have trouble dealing with. Pray that God will take the “bad taste” out of your mouth and make you more tolerant of others. The bonus. The prize inside. Pray for the people who make your life super special. Thank God for placing them in your life. Directions: Mix it all together, bake at 350F until golden brown, and thank God for your many blessings! 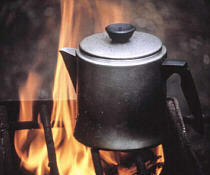 Camping can be an adventure by itself, but it becomes all the more exciting when you put food into the mix. 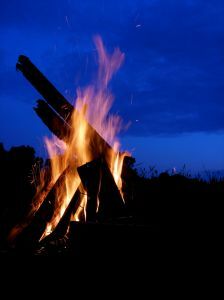 For your campfire cooking to be a success, you’ll first have to build a fire, and if you follow these steps, it should be a great experience! As much as I’d like to guide you here, the best instructions I’ve seen are provided by eartheasy.com and LovetheOutdoors.com. Sometimes when we go on vacation, especially a camping trip, we forget that it can be a great learning experience. When you’re camping in the traditional style, without television or other distractions, you have a great opportunity to enjoy the things that God created (Genesis 1:16). During this time, you can seize the opportunity to learn with your family and friends about God, and share with them how awesome it is to be a Christian. As you begin a summer job, an internship, or a career, it is easy to find yourself eating convenient meals at fast food restaurants or vending machines. You’re going to need to eat homemade meals, or you’ll end up spending a good portion of your income on eating out, and you probably won’t be very fond of the pounds you’ll gain as a result. Plus, the time you would have spent going to a restaurant and ordering food can now be spent doing what breaks are meant for: taking a break. We’ve recently had a couple of articles about healthy alternatives to favorite foods, including what to order in fast food restaurants if you do occasionally need to eat out, and tips for packing healthy lunches, so be sure to check those out for more information and ideas. Break it down yourself. Stay away from pre-packaged meals, which tend to be packed with unhealthy preservatives and have a higher price per ounce. Instead, buy a large jar of applesauce and fill small re-usable containers at home, or put pretzels into sandwich baggies instead of purchasing the food already split into serving-size portions. Keep cold foods cold. Wrap cold food in aluminum foil to keep it cold on hot days. Once you receive a paycheck, consider purchasing an insulated lunch box. This will save time (no need for foil wrapping), money (no foil costs), and will help the environment (less waste). Pack the night before. If you don’t like to spend time packing a lunch in the morning, just pack it the night before and keep it in the fridge so it’ll be ready for you in the possible rush of morning. Toast. Whole grain toast with peanut butter is a great way to pack the grains and protein in before leaving the house. Eggs. If you hard-boil them in advance, you won’t have to cook while you’re getting ready for work. Oatmeal. This will keep you full for hours. Make with milk instead of water for a richer texture, and add mashed fruit to it for natural flavor. Cereal. Skip the sugary Lucky Charms and Cocoa Puffs, and opt for something healthier, like Cheerios or Raisin Bran. Fruit. If all else fails, and you’re running behind, at least grab a banana or an apple and a bottle of water on the way out the door. The water will help you stay hydrated throughout the morning, and the fruit will keep you from getting so hungry before lunch that you end up wasting money and calories at the vending machine. Peanut butter and jelly. Again, use whole grain bread, and try using a fruit preserve instead of a jelly. The flavor is amazing, and fruit is actually the main ingredient! Lunch meat. 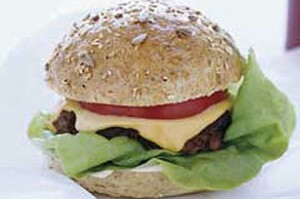 Use a whole grain sub or hamburger bun, or a pita pocket, then fill with your favorite veggies and white lunch meats. Use mustard as a healthy alternative to mayonnaise. Left-overs. If you are lucky enough to have a microwave available at work, take some of last night’s dinner with you and heat it up! As you work, strive to glorify God with your attitude, and trust in Him with your future. In parts one through four of our “Delightful Dining” series, we discussed the people, planning the meal, preparing the meal atmosphere, and service. 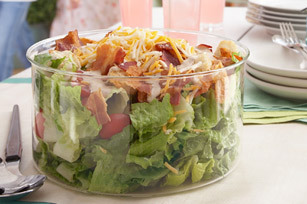 Today we’re going to offer tips for entertainment, and give menu suggestions that include links to recipes online. Talk: If the conversation is going strong, everyone can just sit around and talk for awhile, but that may put more pressure on people to keep the conversation flowing, especially if they’re not used to being together for extended periods of time, so it may be better to have actual activities planned. Games: The other option is to play a game. Someone in your group may bring a fun game that all ages can enjoy. Cards are an easy choice, as games can include an indefinite amount of people, and rules can generally be adapted to meet the needs of the players. Depending on the ages and interests of the players, games like Catch-Phrase and Clue may also be good options. Click on a menu item below to be directed to that recipe. Feel free to use these ideas, or to come up with your own. All good things must come to an end, including the evening (and this series!). When your guests begin to leave, gather their coats and purses, and see them to the door. Make sure to thank them for coming and sharing the meal, and the evening, with you. In parts one through three of our “Delightful Dining” series, we discussed the people, planning the meal, and the meal atmosphere. Today we’re going to talk about service during the meal. Take their coats. When people walk in the door, someone can offer to take their coats and purses, and place the items in a designated area. Seat the guests. If dinner is on the table, go ahead and seat the guests at the table if they arrive together. Otherwise, show them where they can sit, such as in the living room, while they wait for dinner to be ready and the other guests to arrive. A host can sit with them, if possible, to start an appropriate conversation and help the guests feel at ease. Pour the drinks. While a few people are putting the finishing touches on dinner, one or two people can find out what the guests would like to drink, and have the drinks ready at the table. If dinner will be several more minutes, ask the company if they would like to have their drink in advance. 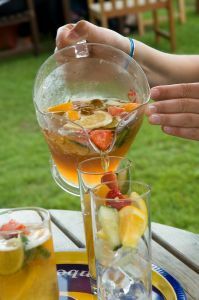 Extra beverages could be kept on the table, if there’s room, or in the fridge so they’ll stay cold. Pray. Have someone designated to lead the group in prayer, thanking God for the food and fellowship. Serve the food. This can be done several ways. If you’re having a buffet-style meal, allow the guests to go first. If the meal has been placed on the table, family style, guests can choose a dish, take what they want, and pass it to their left. This may be good for the hosts to start, as guests are often unsure of what to do and will wait to see an example. The other, and more formal, option is to serve the guests their meal at their seats. 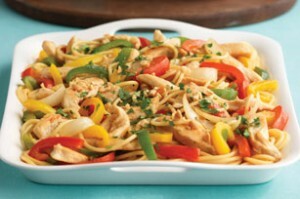 The company can sit down, and the cooks/servers can bring them their plates of food, restaurant style. This is a good option if there isn’t much extra space on the table, since food dishes in the center won’t be necessary, or if there isn’t much counter space to spread the food on. However, it will also mean more work for the hosts who will need to stay aware of empty plates so they can offer seconds. Refill drinks. Someone who is observant, and in a convenient location, can be on the lookout for near-empty glasses and offer to refill them. Have nice conversation. Ask the guests an open-ended question about themselves, or about something you know they’re interested in, such as their children or a ministry they’re involved in. It’s okay for the hosts to offer information about themselves, too, but make sure to not dominate the conversation. Clear the meal. All of the hosts can clear the table, put the dirty dishes in the sink, and put the food away, in just a few minutes. Insist the guests relax at the table while you’re doing this, and the person in charge of drink refills can refill drinks while this job is being completed. Serve dessert. While someone is clearing the table, and someone else is refilling drinks, a third person can work on dishing out the dessert. When these jobs are done, everyone can simply take the dessert plates to the table, putting them in front of the guests first, then serving themselves and sitting back down. Everybody, clean up! (Except the guests, that is.) Most of the clean-up should already be complete, so this job should be easy. 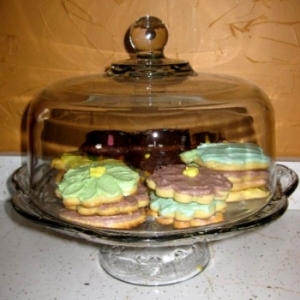 Once dessert is over, take the dessert dishes to the sink, and load the dishwasher. Guests should not help with this (remember, you’re serving them), so they can sit in the living room and relax while clean-up is being completed. We’re going to close out this series by giving a few entertainment ideas, as well as offer menu suggestions, so check back soon! In parts one and two of our “Delightful Dining” series, we discussed the people and meal planning. Today we’re going to talk about setting a proper meal atmosphere. Much of the set-up, except the actual cooking, can be done the day before, so keep that in mind if the meal is set for a weekday, or for breakfast or lunch hours. Choose music, if you’re having any. Soft dinner music can be relaxing as a background noise, but it’s not necessary, so decide if you’re going to have music, and if so, have the CD ready and take it with you when it’s time to prepare for the meal. Allow ample time. If dinner is set for 6:00PM, don’t show up at 5:30! Everyone should meet several hours in advance to clean and prepare without feeling rushed (which can lead to stressed, snippy words). If there is extra time, people can touch up their look or just relax for awhile before company arrives. Clean the house. Everyone should help with this. Closets and basements don’t need cleaned out, but areas that company will be in should look and smell presentable. Put uncaged pets and their food dishes in a different area of the house (or outside), and make sure to disinfect the areas they were in. Scrub the bathroom, clear off and sanitize kitchen counters, vacuum and mop, and make sure things are straightened up so the house has a tidy, welcoming feel in general. If pet or other odors linger, light scented candles, and if possible, open windows to let fresh air in for a really clean scent. Set the table. Use a pretty tablecloth, fresh flowers, or a candle to decorate the table. There’s no need to buy anything––someone involved will probably have something that can be used. Make sure there are enough chairs for everyone, and if an additional table needs set up, this is the time to do that. Fancy dishes don’t need to be used, but the table can still be set properly for a pulled-together feel. 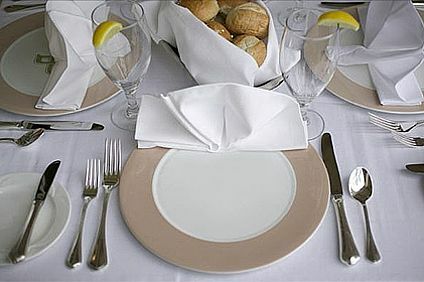 Steps 4–8 on eHow have helpful table-setting tips. Name cards are optional, but whether formal cards are set out or not, make sure to give the guests the best seats. Cook the meal. Non-cooks can help by chopping items, stirring food, washing dishes as they’re ready, or getting out and putting away ingredients as needed. Doing this will save the cook a lot of time and energy, and will help the overall cooking process to run smoothly. Finishing touch. Transfer food to pretty serving dishes if possible, and place everything neatly where it will be served to complete the look. Next, we’ll talk about serving guests, then we’ll discuss entertainment ideas, as well as give menu suggestions, so check back soon! We’ve recently talked about serving a meal to other people, and we’re going to continue with new tips and instructions about planning the meal (full menu suggestions will be posted later). Remember that these lists are for all of the volunteers, and are broken down in detailed step-by-step instructions, so you may only be doing a few items! Know special needs. Ask all guests and volunteers if they have any dietary restrictions (such as allergies or health issues), and write that information down to use when planning the menu. If the host has pets, this is a good time to ask about pet allergies. Plan the menu. Keep this simple! If everyone in your group is an experienced cook, go ahead and cook a fancy meal; otherwise, stick with a simple dinner, which will be just as appreciated and a lot less stress. Keep the overall cost in mind. 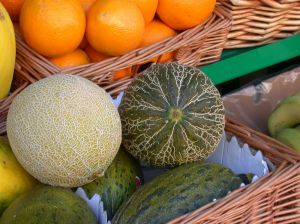 Out-of-season fruits and vegetables will be more expensive to purchase, as will most seafood and steaks. Make a grocery list. Go over all recipe lists in your menu and write down the amount of each ingredient needed. People may be able to donate a few items from home, so check on that, then make a grocery list of everything else that still needs to be purchased. Collect donated items. It’s better to collect all items the group volunteered to donate now. This way, you can make sure everything needed will be there, which is much better than having to run out to the store at the last minute if someone forgets or runs out of an ingredient right before the meal day. Buy the groceries. This can be done a few days in advance, but if there are items that may spoil, such as milk or fresh vegetables, don’t buy things much before then. Only purchase what is needed for the dinner. Make sure to buy enough, but don’t buy too much (this is where writing down the amount needed for recipes comes in handy). If there are two brands of cheese, buy the cheaper brand. That may only save you a dollar on cheese, but a dollar saved on several items really adds up! Remember that everyone is giving money based on a set budget. Store everything. This is best done at whichever house the food will be cooked. Make a note on each item so someone in the house doesn’t accidentally eat something that’s for the dinner. All items that can be kept at room temperature can be left in the grocery bag and placed out of the way, so it’ll be easy to grab on cooking night. Collect the money. Divide the final amount on the grocery receipt by the number of people helping financially to determine how much each person owes. Hopefully, everyone has planned and shopped carefully enough that each person only owes a small amount of money. Next we’ll talk about the atmosphere, so stay tuned! In keeping with our theme of service this month, we’re going to have a five-part series about serving others with a meal. We’re told in 1 Peter 4:10 that, “As each one has received a special gift, employ it in serving one another…” Whether we can cook well or not, we can use our gifts to help serve this meal! We’re going to start the week off by talking about enlisting help from others and inviting the guests; we’ll continue into how to plan the meal, how to prepare the host’s home, and the proper way to serve company. Then we’ll close off the week with a few suggestions for entertainment, as well as offer full menu suggestions and recipe links. 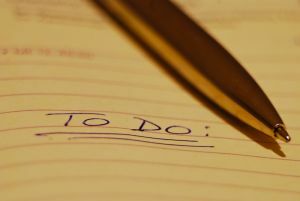 The upcoming lists and suggestions can be used by everyone involved in the planning, and volunteers can choose different responsibilities from the lists to complete. It may be helpful to print several copies for, or send links to, the other volunteers so they can have a reference during the planning process. Enlist help from others. Maybe your family would like to serve a meal together, or maybe a group of friends (or just one other friend) would like to be involved. Let others know your idea, and don’t turn anyone down who expresses an interest in helping. Also, be sensitive to other people’s financial needs––if someone wants to help, but can’t contribute financially, warmly accept their offer to help and tell them not to worry about the money. Choose a place. Your group can pick the most appropriate house for the occasion––maybe someone has a large kitchen, or a big dining room table. Take advantage of that if it’s okay with their parents! If everyone has small spaces, don’t let that stop you––you can borrow a card table and chairs from someone or lay out a picnic blanket on the floor for younger guests. 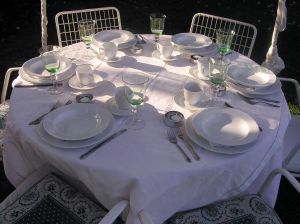 If the weather is nice, have an outdoor dinner, setting up card tables or picnic tables. Set a tentative date. Tentatively set a specific date and time, but have a few possible dates in mind that will work for your group. This will allow some flexibility when talking to the potential guests in case most of them aren’t available on your first date choice. Designate jobs. There are plenty of jobs available that don’t include cooking! An artistic group member can plan on setting the dinner table or decorating the dessert. Someone who loves to talk on the phone could call to invite the guests. An organized person can manage everyone helping to make sure all needed areas are taken care of, and they could make to-do and grocery lists. The shopper of the group could pick up the groceries from the store, and the person who loves math can figure out how much everyone owes so one person isn’t stuck with most of the bill, or which store to shop at to get the best deals. No matter what everyone’s talent is, if you think creatively, you can use those talents to help with this event. Plan a guest list. Allow your group to have input on this so you can all decide who to invite together. Keep this simple, and invite somebody who wouldn’t expect it. If there’s a lady at church who often does things for others without reciprocation, invite her (and her husband, if she’s married). Or you can invite an elderly couple, or someone who’s spouse has passed away. Maybe a neighbor lives alone and would love an evening of fellowship. Keep the guest list fairly small (four to eight people is a good amount), but make sure to include everyone in their household––if you invite an elder and his wife, also invite any children who are still living at home. Finalize the date and time. The phone person can call around to tell all guests and helpers the exact date and time to be marked on their calendars. Exchange numbers. Make sure the guests have your phone number, and you have theirs, so you can contact each other if any plans change. It may also be helpful to make a phone number sheet with all of the volunteers’ names and numbers to copy and pass around to the group who’s serving (a great job for the organizational person!). Later, we’ll discuss other aspects of planning this dinner. You can start planning now by following the “people planning” list, and continue later with the details that will follow. Enjoy serving Christ by serving others! 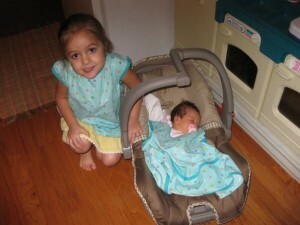 Children were created by God, and while their parents are ultimately the ones responsible for shaping them into well-rounded adults (Proverbs 22:6), we can help to care for them by being godly influences in their lives, whether we’re babysitting, hanging out with a sibling, or inviting a kid from church over for the afternoon. Titus 2:3-5 instructs older women to teach the younger women, and while that verse is specifically speaking of teaching younger women how to become godly wives and mothers, we can still teach young girls how to behave in a godly manner. One of the ways we can do this is by spending time with them and setting a pure example. As we keep Matthew 19:14 in mind, we can also set an example for, and spend group time with, the young boys we know. It’s important to keep safety in mind when working with young children, so remember, or print, a few safety tips to use when you’re cooking with them. Prepare age-appropriate foods. A two-year-old may only be able to help pour ingredients and decorate a finished product, but an eight-year-old will probably be able to assist in cooking an entire meal. It may help to ask the parents in advance what the child is capable of in the kitchen. Always keep handles toward the back of the stove. Even if they’re old enough to not pull on pan handles, the handles could still get bumped as someone passes them, burning the person the contents spill on. Supervise all appliance usage. Children should never use a stove, microwave, oven, or any other appliance by themselves, so make sure to help them when appliances need to be used. Even if they’re normally allowed to use these items at home, remember that when you’re with them, you’re responsible for their safety, so use extra caution. Wash hands often. If either of you coughs, sneezes, handles raw meat (including eggs), or licks your fingers, wash your hands! Germs spread quickly, and things such as raw meat can be extremely harmful, so take precautions to avoid problems. For more safety tips, visit Kraft Foods or iVillage. Keep in mind that these articles are directed toward the parents of the children, so even though they give directions on how to teach the children to handle some items, it’s better to leave those jobs to the parents for safety reasons. 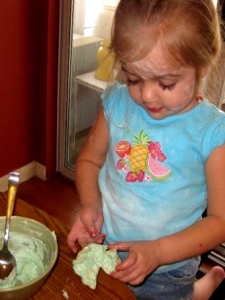 Keep the cooking activity fun, friendly, and kid safe for an experience you’ll both enjoy! Please note that Gifted Girls is featuring recipes and photos of food items next month, so take a photo of something you’ve baked or cooked, and submit it to us by April 28 for use in May’s Gifted Girls column. This month our theme is “Pierce my heart to live up to Your potential for me.” (Psalm 139:14: “…I am fearfully and wonderfully made; Wonderful are Your works, And my soul knows it very well.”) We should try to live up to the full potential God has for us, including the potential to properly take care of our bodies. Sometimes it can seem difficult to find healthy foods that also taste good, so this month I’m providing you with a few suggestions for great alternatives to your favorite foods! Everyone gets busy, but it’s better to choose an apple over a candy bar when you’re on the run, because very quickly you’re going to be tired from all that sugar (not to mention get hungry); the fruit will be sweet, too, but will give you healthy energy without the crash later. If you’re in high school, you know that school lunches aren’t always the healthiest, but there are some pretty neat ways to eat what you like and still be healthy. Think of creative sandwich solutions: If you like to eat peanut butter and jelly, try using 100% whole grain bread instead of white, use fruit preserves instead of jelly, and if you’re going for the ultimate healthy PB&J, make it with reduced-fat peanut butter. Don’t like PB&J? If you prefer lunch meat in your sandwich, substitute white meat (turkey or chicken) for red meat (ham or salami), and add a little lettuce and tomato. 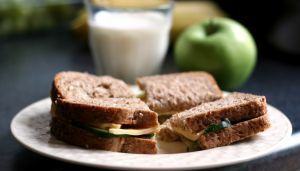 Give yourself a few weeks to get used to the taste of whole grain bread, but if it just doesn’t grow on you, try white/wheat, which has some of the nutrients of whole grain, but more of the texture and flavor of white bread. Make snacking fun: If you love junk food, think of healthy and sweet alternatives to your cakes and potato chips. Instead of potato chips, take pretzels; they are lower in fat and still salty. If you must go with chips, try some of the baked varieties or Sun Chips. Instead of cakes and candy, choose fruit and yogurt as a sweet and healthy option. Mix up your drinks: I know most of us love soda, but there are alternatives that taste good and are better for you. Try plain water. It may sound dreadful, but your body will thank you for it later. If plain water sounds too boring, add a low-calorie mix, such as Crystal Light or Propel, or a squeeze of lemon or lime. Taking the time now to build healthy eating habits will pay off in the long run. Most importantly, you will be taking care of the body that God gave you.